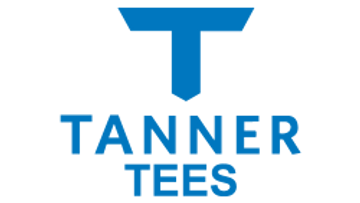 Earlier this year, I traveled to Dallas for the ABCA meetings and equipment trade show with the Tanner Tees team. Among hundreds of companies like ours, 7,500 members of the association attended the annual four-day event to unpack the latest trends in the game and purchase equipment for their programs. The days generally last from breakfast to dinner, and after-hours coaches and vendors get together to talk shop. This is the fifth convention I've attended in six years. I always travel with Andrew Beattie. He’s a good friend and played eleven years in professional baseball. He’s also an ABCA member and owns and operates a baseball training facility called Silverback Athlete in Sarasota. Rather than working our company booth, this year Andrew and I were able to roam the trade show floor as attendees. We checked out the newest products and latest trends in the game, and overwhelmingly, things are moving toward technology in baseball – in products, services, programs and analysis. Here are a few companies and products we observed. Sensors built into a harness system can be worn to record energy transfer during a swing. The data maps to a display, which among other data points, shows the acceleration of body parts in motion and where energy is transferring. This matters because players want to hit the baseball as far as they can. Plenty of factors -body type, stance, bat size, launch angle, pitch velocity, impact point on bat, exit spin - play a role in how far a driven baseball will travel, but to see energy transfer from the hips, arms and feet portrayed onto a screen and gauging that against an observed good or bad repetition is valuable insight for a hitter. The caveat is you need to dabble in biomechanics, motion, and basic physics to transform the observed data into meaningful training. Driveline describes itself as world class pitching and hitting training driven by data. Peer reviewed studies in biomechanics serve as the foundation for throwing and hitting programs designed at Driveline. The company employs baseball coaches, software engineers and biomechanics professionals under the same roof, which gives them a unique capability to conduct specialized baseball studies. This results in consumer-friendly baseball products founded in science but not overcomplicated for the customer. If you trust Driveline’s science, which you absolutely can, you can follow along and reap the benefits of their back-end work. One of Driveline’s hitting packages includes a Tanner Heavy model batting tee, 8 sets of PlyoCare balls for hitting, 1 set of Axe Bat Speed Trainers and of course all the data and studies you can read provided by Driveline. Those radar guns you’ve seen scouts pointing now have high definition cameras built into them. Every pitch can be recorded then saved to the cloud for scouts to view in (nearly) real time from anywhere in the country. It doesn’t remove the need for a trained scout to observe a pitcher. But it does give that scout the ability to collaborate with others in his organization in real time. Over the past several months, I have spent a lot of time observing Rapsodo being used for lessons, from the youth level all the way to the big leagues. Rapsodo is a video monitor engineered for hitting and pitching that measures exit velocity, launch angle, direction, spin axis and more. Data is displayed in an app for a smartphone or tablet. Do you want to test how ball spin affects flight distance? How does changing the length or weight of your bat effect exit velocity or overall flight distance? With Rapsodo, you can run controlled experiments inside a hitting facility in real time. All sessions can be saved to a cloud, with individual accounts set up for each hitter. Over time those sessions can be compared to other sessions and players can build a true hitter profile, compare that profile to a team profile, take the team and compare to a larger data set profile and so on. Keep on the lookout for more from us using Rapsodo. As a wave of technology and data gadgets move into baseball, we need to be smart in how we collect and manage player data. To arrive at any valid conclusions – for instance, the success or failure of a throwing program or perhaps the relationship between backspin and ball flight, data must be recorded systematically in a controlled environment. If a pitcher gains 3 mph velocity over four months, is the improvement attributed to the strength program you administered, or did the pitcher hit a growth spurt and added muscle and size? You can see how data can become dangerous if conclusions are drawn from invalid tests. At best, you waste training time. At worse, you develop a change to a mechanic that ultimately leaves a player worse off. Correlation does not equal causation. The last thing we want is to randomly grab a bunch of data and then make baseless conclusions. We have a huge opportunity in the game today to combine 150 years of proven experience with new technology. If we do this right, the results will be better informed coaches, better training protocols, reduced injuries, and players with more insight into how they perform optimally. How we deploy that technology and how we manage the data we collect will ultimately tell the story of how data is accepted in baseball or not. SIDE NOTE: This article is meant to begin a conversation about how mainstream baseball can effectively harness the capability new technology brings. I didn’t play or coach professional baseball, so I’ll leave the conversation about whether technology moving into mainstream baseball is good or bad for the guys with the most experience playing and coaching. But Baseball tech is here regardless, and to use these devices you need to understand technology, data collection and scientific process. If we want data to develop new training methods or to solidify current training methods, we will need both baseball experience and tech savvy people engaged in the same conversation.